4. 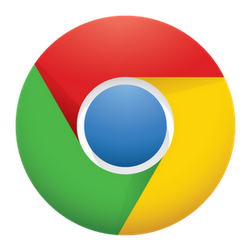 คุณทราบหรือไม่ว่า ชื่อ “Chrome” มีที่มาจากไหน? 1. Did you know Google actually pays hackers to crack Chrome? It’s true! Through the Chrome Vulnerability Rewards Program, we provide monetary awards and public recognition when a hacker or security researcher reports a vulnerability to us. This way, hackers have incentive to find and report bugs, and we can fix them before they get exploited by bad guys on the web. 2. Chrome isn’t just for laptop and desktop computers any more -- you can now browse the web using Chrome on many Android and iOS mobile devices too. And if you use Chrome on multiple devices, your open tabs are automatically synced across all of them. So when you step away from your computer and switch to your smartphone or tablet, you can instantly access the same pages you were just looking at. Didn’t get to finish the article you were reading on CNN.com on your laptop? Open the same tab on your tablet or phone once you get on the train! 3. The Chrome team is obsessed with speed. One of our tricks to make browsing the web in Chrome ultra fast is called pre-rendering. When you land on a webpage, Chrome automatically starts examining all the links on that page and retrieving information in the background. So when you click on the next link, we have already begun retrieving that page, and it will open almost instantaneously. 4. Do you know how Chrome got its name?